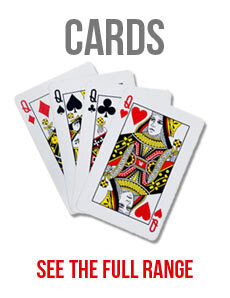 FREE Postage and packaging for all UK orders over £50.00. 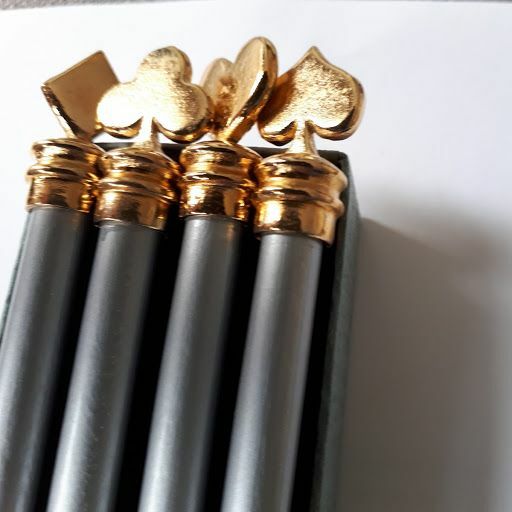 Gift boxed set of four matt silver coloured pencils with gold alloy toppers in the shape of the four card suits - spades, hearts, diamonds and spades. Full length pencils.